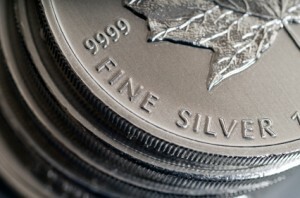 Throughout history, silver bullion has served mankind as a primary monetary metal. It is durable, divisible, convenient, has utility value. Unlike its fellow, monetary metal gold, silver has a huge industrial demand. Industrial demand for silver has grown consistently for the past three decades because of silver’s many unique properties, including its strength, malleability, and ductility…its unparalleled electrical and thermal conductivity…its sensitivity to and high reflectance of light…and its ability to endure extreme temperature ranges and is most commonly used today as an industrial commodity. Unlike its fellow, monetary metal gold, silver has a huge industrial demand. Industrial demand for silver has grown consistently for the past three decades because of silver’s many unique properties, including its strength, malleability, and ductility…its unparalleled electrical and thermal conductivity…its sensitivity to and high reflectance of light…and its ability to endure extreme temperature ranges and is most commonly used today as an industrial commodity.